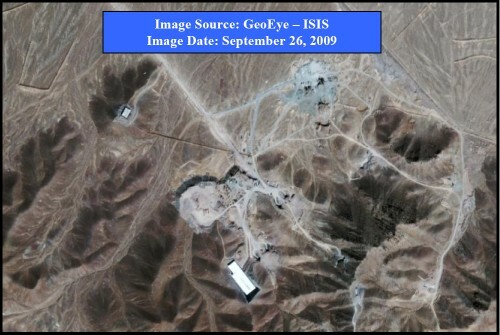 ISIS has obtained new commercial satellite imagery from GeoEye taken on September 26, 2009 of the suspected covert gas centrifuge facility under construction near Qom, Iran. This is one of the two suspect sites that ISIS assessed on Friday were likely locations of the facility. ISIS assesses that this site is the most likely location of the centrifuge facility revealed on Friday. September, 26, 2009 GeoEye satellite image of the suspected gas centrifuge facility under construction in a tunnel facility inside a mountain. This site is located approximately 30 kilometers north-east of Qom, Iran.